Bullying prevention expert Kim Storey, EdD, tells us how to stay on track when using the word bullying. Once dismissed as “just a part of growing up,” bullying is now a regular topic around our dinner tables, in our classrooms and communities,and on the evening news. As a researcher and educator in the field of bullying prevention for many years, I listen carefully to these conversations. Paying attention to our national dialogue is important because it is often a good indicator of our progress and our outlook. It can reveal if we are on track and making headway to solve the problem of bullying. Recently it has become clear that we need to do a better job of defining and properly using the word bullying. Sometimes this word is used when it shouldn’t be, sometimes it isn’t used when it should be, and sometimes it is avoided out of fear of its toxic implications. “Definitions matter when it comes to talking about and reporting on bullying, conflict and aggression,” explains Deborah Temkin, Bullying Prevention Manager at the Robert F. Kennedy Center for Justice and Human Rights, in a recent Huffington Post blog. Definitions determine how we implement our policies and our programs. So, what is the best definition of bullying? Although researchers debate and discuss this question, it is generally accepted that bullying is a form of emotional or physical abuse that is deliberate, repeated, and involves a power imbalance. All three elements must apply for an aggressive act to be considered bullying (see Eyes on Bullying for more on this definition). Consider recent news coverage of the University of New Hampshire study linking sibling aggression (physical assault, property victimization, and psychological aggression) with mental health problems. Although bullying was not investigated in this study, the word bullying dominated the headlines in news media throughout the country (e.g., “Bullying by siblings just as damaging, research finds,” and “Sibling bullying is under-recognized, study finds”). The relationship between sibling aggression and bullying is an intriguing issue—but again, it was not addressed in this particular study. The media’s misuse of the word bullying as a synonym for aggression may lead parents and educators to deal with sibling aggression in inappropriate ways. Effective intervention for bullying is substantially different from effective intervention for the types of aggression that were investigated in this study. For example, an effective intervention for sibling or peer aggression might focus on conflict mediation, whereas mediation is not recommended for bullying. To move forward with understanding bullying among siblings, we would need to look carefully at what bullying and effective interventions look like within the family context. Proper treatment requires accurate diagnosis, so we must be precise and accurate in assessing bullying versus other forms of aggressive behavior. "This is not an anti-bullying foundation. This is a youth-empowerment foundation," Lady Gaga announced during the launch of her Born This Way Foundation at Harvard University. It’s laudable that Lady Gaga wants to cast her initiative in positive terms, such as empowerment, bravery, and self-acceptance. However, to successfully stand up to bullying, youth also need to build specific skills to use in bullying situations, such as empathy and assertiveness. We’ve come too far to avoid using the word bullying when it’s appropriate. By directly educating youth about bullying, we ensure that they develop the skills they need to feel empowered and brave in the face of bullying. The word bullying can be regarded as too toxic to use at all. A coach of a boys’ soccer team recently said to me, “The problem is, you can’t use the word bullying any more.” He explained that if you accuse a child of bullying, you risk implying that he or she may be on a pathway to becoming a troublemaker or even a criminal. Likewise, adults may hesitate to identify kids who are victimized—since they hear that kids who are bullied grow up to feel excluded and depressed. This fear of the word stems from limited understanding about bullying and its prevention. Although bullying is a serious problem, it can be effectively stopped. We need to understand that bullying is preventable and does not necessarily lead to devastating consequences. Proper understanding and use of the word bullying helps us to understand the nature of the problem and to intervene appropriately. What should we take away from these examples? It’s important to understand the definition of bullying. Adults and children who understand what bullying is and the different forms it takes are better able to recognize bullying when they see it or when they become involved in it—and to avoid using the word when the situation doesn’t call for it. It’s important to talk directly and openly about bullying. 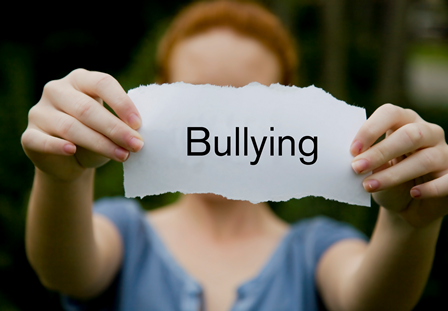 Bullying is no longer thought of as “just kids being kids” or a taboo subject. Children need to know that bullying hurts and can have devastating consequences when it’s allowed to continue and increase. They need to know that bullying is preventable and that we have the knowledge and strategies to stop it. They need to know that adults take bullying seriously and are prepared to help prevent and stop it. It’s important to use the word bullying appropriately. Accurate labeling of certain behaviors as bullying helps both adults and children talk meaningfully about bullying and its prevention. It also encourages children to ask for help in bullying situations. If you can’t see bullying when it happens, you won’t be able to do anything about it. We’ve come a long way in our discussions about bullying and our actions to prevent it—let’s not allow the word itself to lead us astray. We’d like to hear your thoughts. Do you have an experience to share about how using—or not using—the word bullying helped to prevent or stop bullying? Please leave your comments below.